Driven by the love, devotion and unending determination of families seeking a fulfilling life for their children with disabilities, The Arc of Oswego County was formed in 1953 by a group of parents concerned about the lack of educational services for their developmentally disabled children. The agency’s history has since been one of working collaboratively with all segments of the private and political sector to gradually create a network of community resources and services. Arc of Oswego is a private, not-for-profit organization. Our mission is to be a leader in the field of developmental disabilities, committed to meeting the needs of individual growth, productivity, and independence through education, advocacy, and increased community acceptance and participation. The Arc of Oswego County receives funds from the state and federal government, corporate foundation grants, individual donors, and the United Way. The Arc of Oswego County established in 1953, augments funding for the development and maintenance of new and existing programs. 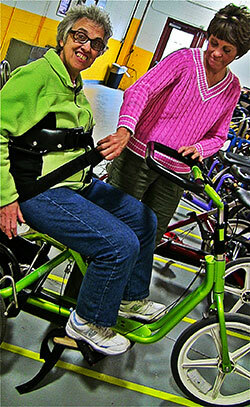 Every dollar makes a difference in empowering people with disabilities and their families.